Double Dragon for the NES is one of my favorite games of all time. When I think back on it, it was also the first arcade game I ever played. Double Dragon II was a great single and two-player experience on the NES. 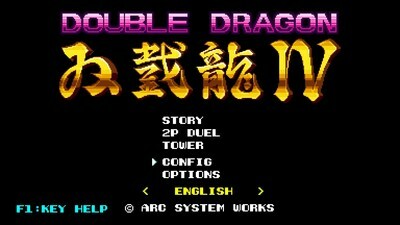 When I heard that they were making a new Double Dragon game in the style of the second one, I was pretty excited. After putting in some time with the game, I am pretty pleased with it. The story revolves around two brothers who teach martial arts across the country, which is savaged by violence. They get attacked when going to one of their dojos, and they have to fight thugs to find out who is after them and why. The story follows a pretty straightforward path with very few twists. The story mode lets you play either solo or with two players, and the latter provides the option for whether the two players’ attacks can inadvertently hurt each other or not. Story mode gives you three lives and five continues. Losing all of your lives and continues ends the game. At the end of each stage, your health gets replenished which is represented by squares next to your portrait. Each of the story’s 12 missions are short, with most only lasting 5 minutes or less. Most stages are pretty straightforward, but some do have some platforming elements that can be annoying. If you lose the game, hitting start on the menu screen lets you pick a mission to go back to, and you will start off with three lives and five continues again. Most of the enemies that you face have been seen in one of the three prior games in the series. One tactic that the enemy will use is to attack you from both sides so that you can’t react or protect yourself. This is annoying, but it is nothing new for the series. Another familiarity from the series is using items found on the ground, like knives and bats, against your enemies. Keep in mind enemies can use them on you as well. One of my favorite things to do is knocking or throwing enemies off platforms into pits. 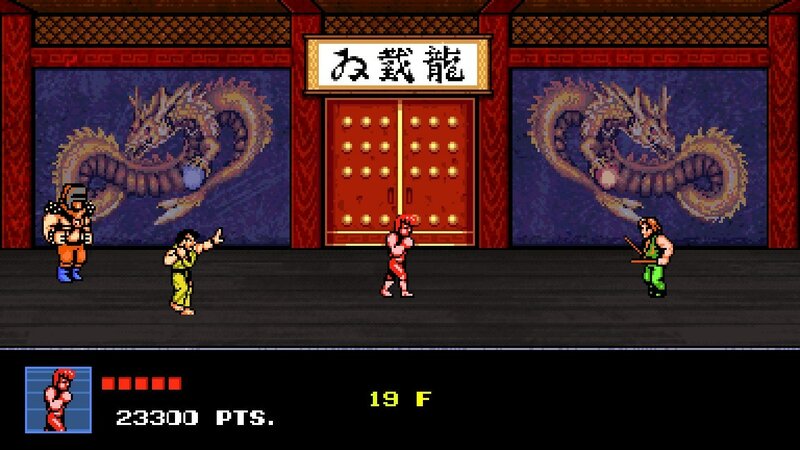 Gameplay revolves around your character using punches and kicks to take out your enemies. Combining different punch/kick combinations lets you do different attack moves. These can vary from doing a flying knee kick to a powered-up uppercut. You can also do a spin kick when jumping. Combat is an important part of the game, and I feel that the game does a good job with it. If anything, I wish the game would have used the original Double Dragon formula of you learning new attacks as you reached a certain point threshold instead of having all the attacks available from the start. Besides the story mode, the game has a two-player battle mode and a tower mode. 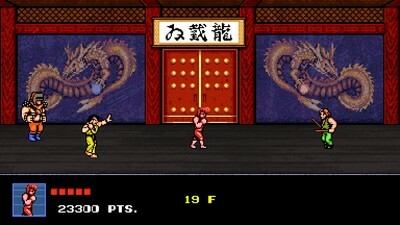 The battle mode is a one-on-one fight with another human player using any of the 20 enemy characters unlocked during story mode. This mode was not tested during this review. Tower mode lets you pick an unlocked character and starts you on floor one. You get only one life, and the goal is to clear all the enemies on each floor to progress to the next one. Going higher increases the number of enemies that show up on the floor, as well as them becoming harder. Some enemies are bosses that are fought during story mode. Reaching and clearing certain floors unlocks more characters to be used in the tower and story modes. All of these characters have the same moves that are used against you in story and tower modes. Being able to play through this mode with other characters was fun and added some replayability to the game. I made it as far as floor 31, and I am not sure how high the tower goes. 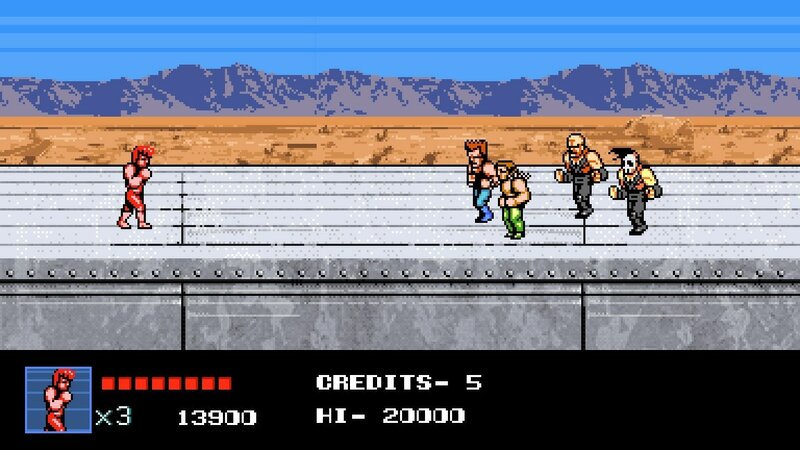 Graphically, this game looks just like Double Dragon II for the NES. The game uses semi-detailed sprites for its characters and enemies, which I thought looked well. The stage backgrounds also looked decent. I thought the music and sound effects were pretty good as well. 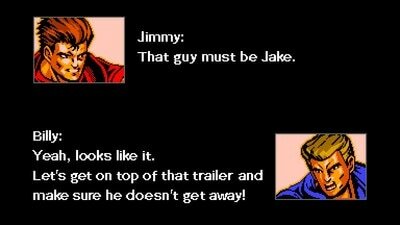 When Arc System Works said they were going to create a Double Dragon game in the style and feel of the NES games, they followed through on it. This game does have some issues. The story mode is short, clocking in at about an hour if you don't restart any stages. Also, replaying the story mode gains you nothing besides seeing the story again. 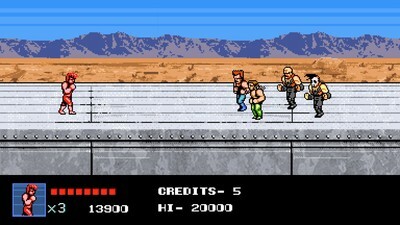 Another factor working against this game is that this plays pretty much like Double Dragon for the NES. If you didn’t like that game or the second one, you are probably not going to like this one. No online multiplayer was also a letdown. I am a huge fan of Double Dragon and the games in the franchise. 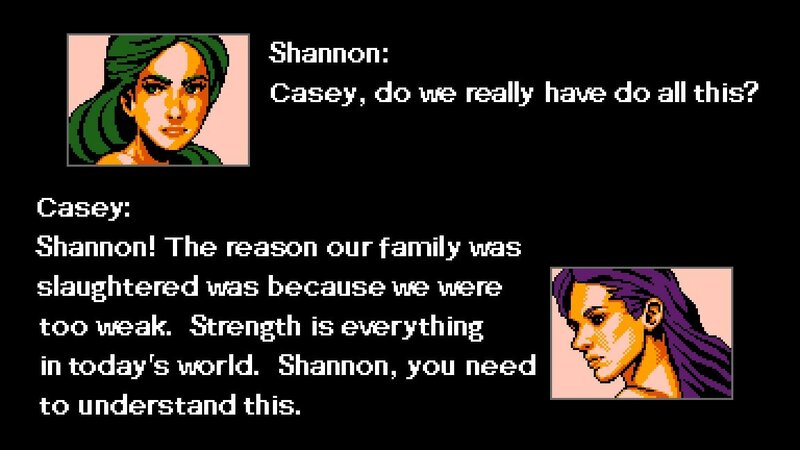 This game gave me exactly what I was looking for: a game that played just like the Double Dragon games from the NES. The tower mode is a nice add-on, and the ability to play through the tower and story mode with enemy characters is a nice change of pace. Any fan of the original games is going to like this one.